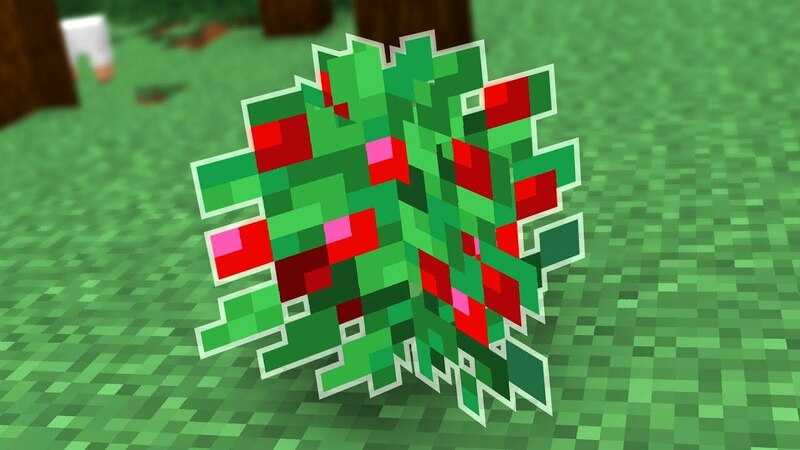 As most of us are aware of, in snapshot 18w49a, berry bushes were added to the game as apart of the Taiga expansion that we voted for at minecon earth, which I think was a mistake by the way. But no matter what has happened in the past, we the people will move us forward with great suggestions like this one. have a chance to drop poisonous berries when broken, similar to how poisonous potatoes work but instead of the poison debuff, it will give you nausea to simulate hallucinogenic berries. The ingredient for this potion would be the poisonous berries with an extended duration of the nausea effect that the berry would give you if you were to eat them. Alternate textures for the bush to have different colour berries, simalar to the tropical fish to where when it drops its item, it just drops the generic berry texture. That is all, so thank you for taking the time to read this. As most of us are aware of, in snapshot 18w49a, berry bushes were added to the game as apart of the Taiga expansion that we voted for at minecon earth, which I think was a mistake by the way. Are you saying that voting for taiga enhancement was a mistake or that adding berry bushes was a mistake? I can't tell, but I get the feeling that you believe that (like with the mob poll from the previous year's Minecon Earth) the rest of the options are gone forever. That's not the case, the 2018 biome enhancement poll was simply voting on which biome was going first...all of the biomes in the poll are getting enhanced and will be happening one after the other. This is good. I especially like the different colors part. I support this. Although I like the idea of sweet berries serving the same purpose as tropical fish, there should be some variety in the inventory. My suggestions are: blueberries, cranberries, and acai berries. The poisionous berry should be called the holly berry and I like the idea of it giving nausea. Nausea potions would be cool, but it would ruin the consistency of harmful potions being brewed via fermented spiders eye. I like this suggestion. Makes the berry bush more lively that it already is. I think for different coloured berry bushes, they should spawn in groups and depend on biome type. Poisonous Berries: I don't really like the idea of yet another useless poisonous food item. While it makes more sense for berries in the wilderness to be poisonous than potatoes, I don't really think there's a point in making another one of these. Suppose that instead, from new, black-purple berry bushes you receive "Suspicious Berries". Suspicious Berries have a 20% chance of poisoning you, using the poison effect and 5 seconds of nausea. Why eat them then? Because while adventuring in the wild or during the early game, you may not be able to find food to sustain yourself. If you get one of these Suspicious Berries and you're dying of hunger after a tough mob battle, you might test your luck with one of these. Now, even this kind of Berry Bush is only useful to players who prepare badly and do so in a location with a convenient berry bush nearby, but at least it's better than another 100% poisonous item. Nausea Potion: See, this would only really be useful in Multiplayer though. There's no reason to intentionally give the player Nausea and there's no reason to hit mobs with it since Nausea doesn't affect mob AI. I would much rather see a Blindness potion than a Nausea potion. Different Colors of Berries: I don't mind this. Some people don't like new foods because they really are just different sprites to be shoved in our face in the end, but I personally don't mind different food sprites. My avatar is a texture from a small block game I made in Python. I get offtopic a lot, be warned. I also often mention a Minecraft clone called Minetest. The clone is nowhere near playable with it's default game in my opinion, but it's at least the start of a good open-source voxel rendering engine, and maybe one day it might be decently playable.